We enjoy working with a wide assortment of livestock here on the farm. There have been lots of changes over the years, the most notable being saying goodbye to our herd of Nubian dairy goats after ten years! We love our Jersey cows and our mixed (but mostly Cotswold) flock of sheep, and can’t imagine a farm without pigs or chickens. 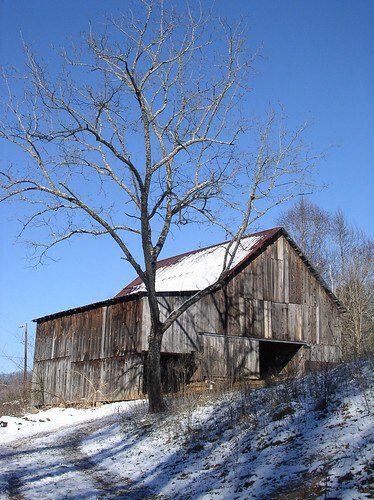 Our current barn is an elderly termite-ridden wooden barn in the Appalachian style, meaning it was designed to store tobacco as much as livestock, (we’re lucky—ours was at least used some for animals! Most around here aren’t. ), which makes for a drafty, uncomfortable environment for both animals and farmers! Someday, in the hopefully-not-too-distant-future we’ll be designing and building a new barn.